Today's headlines officially confirms Nike Sportswear will continue the popular Roshe Run series with this all new 2013 sample surfacing on the web. The updated Roshe Run is taken to the next level in several ways, sporting a thicker collar liner and premium mesh to build them up. 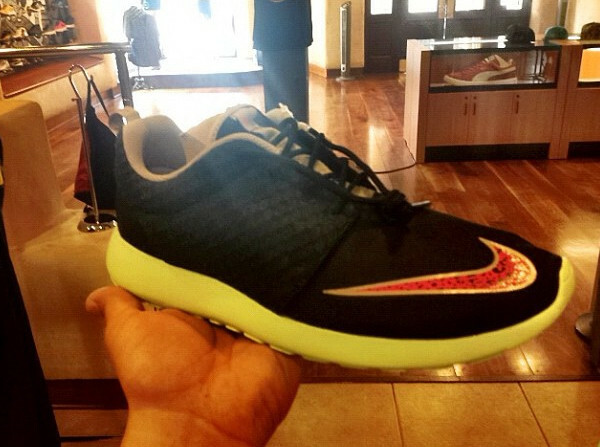 The Swoosh also made a move on the all Roshe Run for 2013, taking place along the lateral toe area. Among the several colorways expected to release, this sample displays a subtle yet still eye-catching combination of black, grey, volt and red. Stay tuned to Sole Collector for further details on the release of this updated look for the Roshe Run by Nike Sportswear.